Karur Vysya Bank is an Indian old private-sector bank and is one of the leading banks in India, headquartered in Karur in Tamil Nadu. It was set up in 1916 by M. A. Venkatarama Chettiar and Athi Krishna Chettiar. The bank primarily operates in the treasury, corporate/wholesale banking and retail banking segments. Applicants who have Completed a Degree or equivalent from a recognized Institute for KVB Sarkari Naukri 2019. 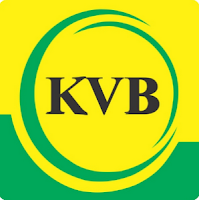 Eligible & Interested candidates can apply via online in Official website page at www.kvb.co.in KVB Sarkari Naukri 2019. Complete the KVB Jobs Application Form with the essential data. Take a print out of KVB Sarkari Naukri 2019 online application form.